More and more blended families face an inheritance nightmare as the number of parents’ Wills being challenged increases. It should come as no surprise that money is often the spark that sends an entire family up in flames. 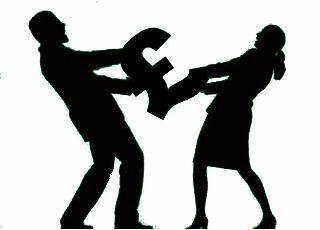 More and more children are commonly looking for help from the bank of mum & dad. But what if it’s actually the bank of mum & step-dad and he’s less keen to see money go to his wife’s children from a previous relationship. 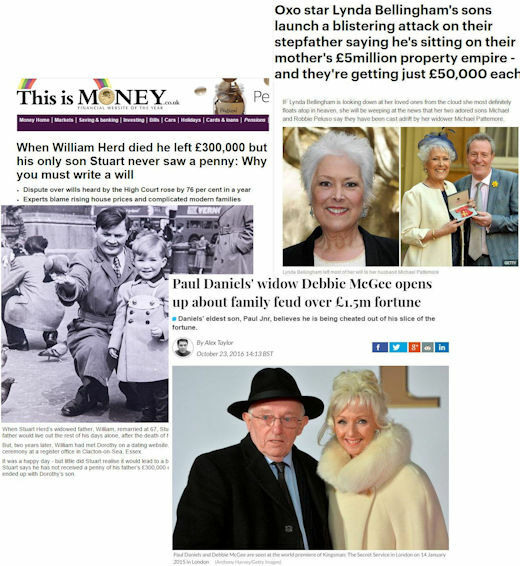 High profiles cases, such as that of Paul Daniels and Lynda Bellingham, have highlighted the risks of family fallout over money when so-called blended families are brought together by marriage. But it’s not just the rich and famous. Financially supporting children from a previous relationship can often cause tension in a relationship and often results in conflict within a blended family. This acrimony usually kicks off big time when one parent dies and their Will is not seen as fair or even handed. When there are children and step-children from different relationships there is a far greater risk of conflict as the step-parent is now in a position to cut out his/her step-children completely. As people are living longer and marrying a second (or more) time with children from those different relationships, the challenges to their Wills has risen. This immediately puts families at odds with each other at an already very difficult time. The best way to guard against a family fallout over your money is to make sure everything has been carefully thought through and appropriate planning is put in place. Parents with children, a new partner and step-children should tread very carefully or risk causing a rift their children will never overcome.